Estate Planning Attorney Dallas | The Ashmore Law Firm, P.C. What is an Estate Plan? Learn what an estate plan is, what's included in an estate plan & how having one can protect your assets & save your loved ones time, money & stress! You've worked hard, and with proper estate planning, you can preserve your assets for your children and grandchildren. 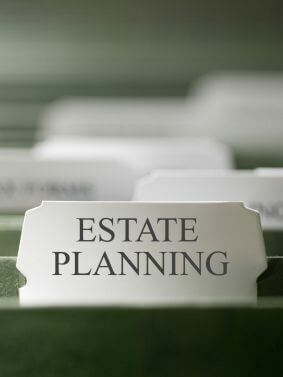 Estate Planning is not just for the elderly or the rich. When we say estate plan, we are referring to your last will and testament and ancillary documents. Your will is the document that says, for example, "I want my husband to collect all of my assets, and I want my assets distributed to my husband and children upon my death". Your ancillary documents state who will speak and act on your behalf in the event you become incapacitated. Our will package encompasses all of these documents. We start with the foundation and prepare estate plans for our clients to obtain their goals and objectives ranging from tax planning by minimizing the estate/inheritance tax, gift tax and generation skipping transfer tax, to asset protection by preserving and transferring wealth to their family members. We can help our clients write their will, create ancillary documents, form a trust, and help them find the most effective way to protect their assets. We also advise our clients on business succession planning, as well as entity formation for family owned businesses, which may include Family Limited Partnerships and LLC formation. *We offer free educational presentations on estate planning, wills and trusts. Please email [email protected] for more information.